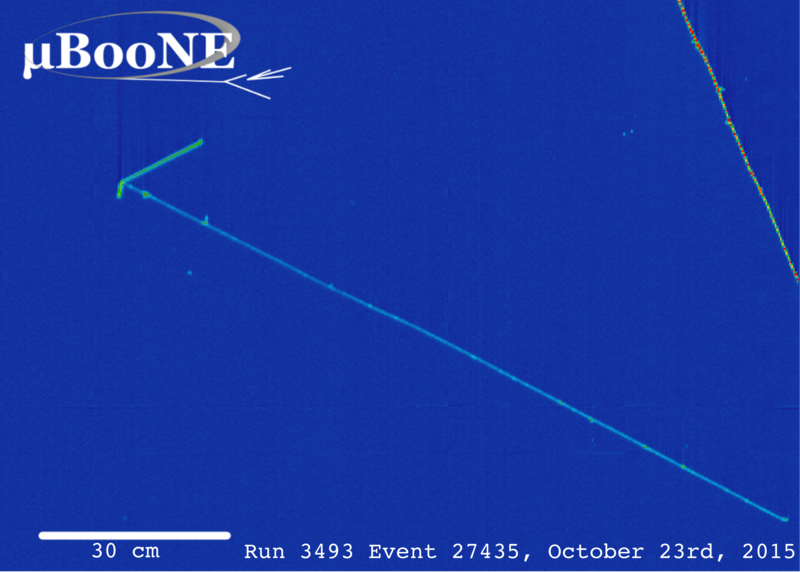 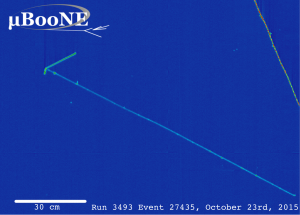 MicroBooNE started receiving our very first neutrino beam from the Fermilab Booster accelerator on October 15, 2015. 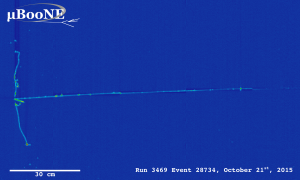 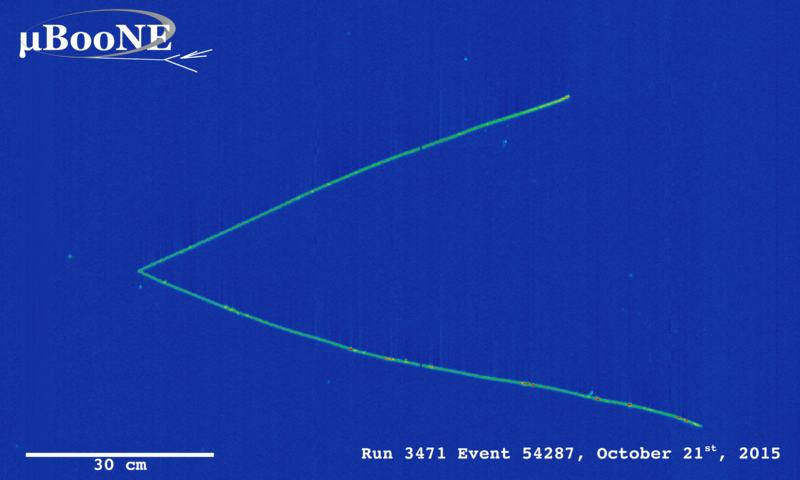 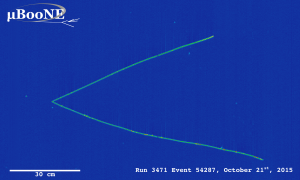 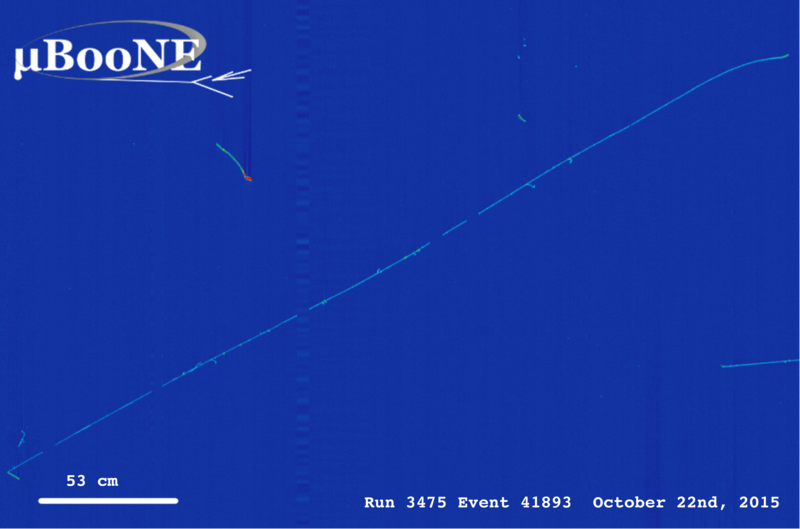 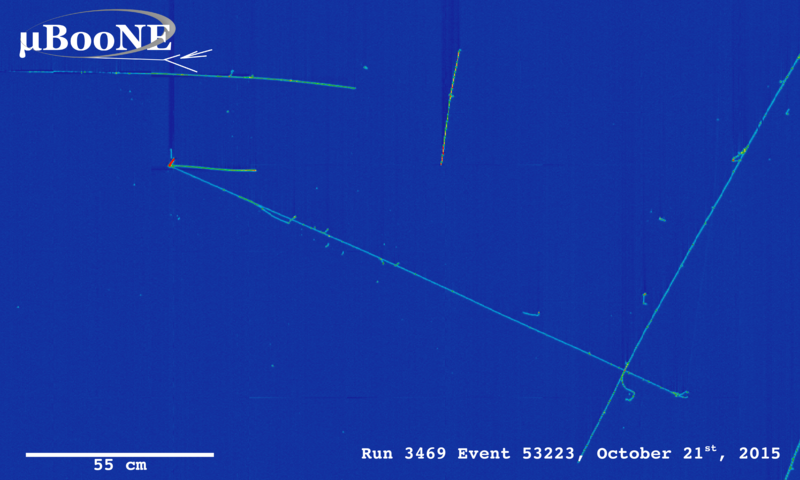 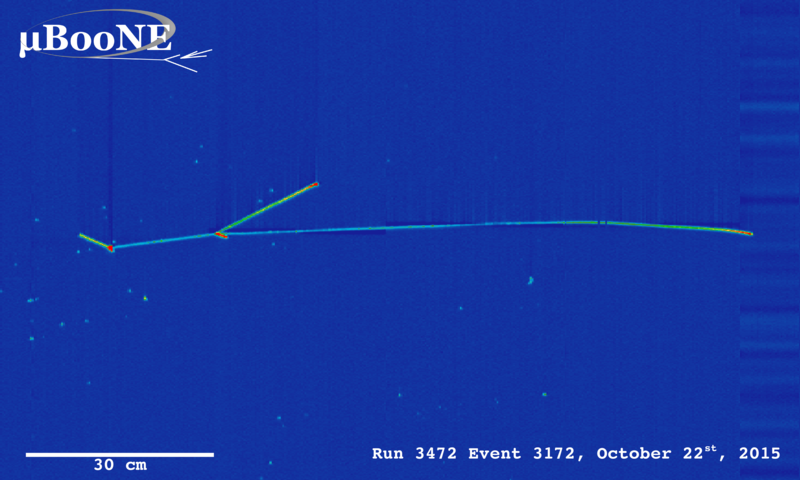 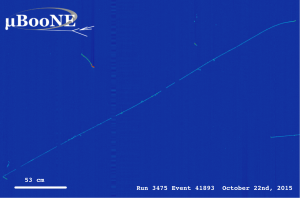 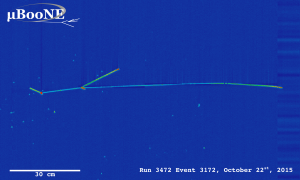 On November 2, 2015, we released the first neutrino event candidates that our automated neutrino event reconstruction identified. The images are below.